Just last November, I made my first trip to Japan (like, finally)!   I was travelling with my aunt and sis and we were new to the country; like me, it was my sister’s first time to Japan while my aunt only visited Tokyo during a brief stopover. Planning the first trip to Japan could be daunting and even more so when planning for three. Luckily I received awesome advice from friends which made my planning and the actual trip a lot easier. 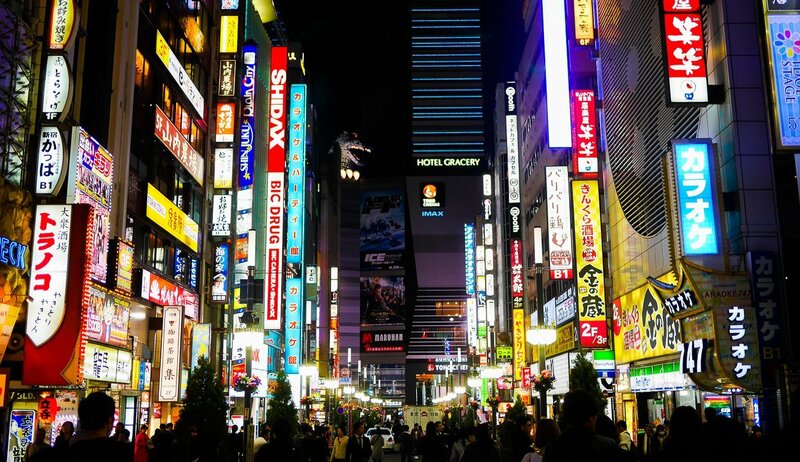 Read on to find out how you can have a fabulous, stress-free trip to Japan too. For my first trip, we visited Tokyo, Kyoto, Nara and Osaka in 11 days. We kept to a comfortable pace (aka no crazy early morning calls and no rushing for trains) but only managed to graze most of the locations. My second trip a couple of months later was just Tokyo + Lake Kawaguchiko in 7 days. Even then I felt that it wasn’t enough to explore Tokyo. If you are planning to stay in Japan for more than 10 days, 2 prefectures should be fine. Anything less, perhaps just take your time to explore one prefecture? Once you’ve determined which prefectures you will be visiting, it’s time to figure out your mode of transport between the different areas. If it is your first time to Japan, I recommend trying the Shinkasen (bullet train). Although it is pricey, buses are way too slow (about three times longer) and domestic flights don’t offer much flexibility in terms of timing; the frequency of bullet trains between Tokyo to Osaka is more than twice an hour so if you miss one, just request for a later train. If you do decide on the Shinkasen, check out the prices between the different prefectures and see if a JR pass works out to be cheaper. In general, if you are making a round trip between Tokyo and Osaka/Kyoto within a span of 7 days, the 7-day pass would be worth it. JR pass can only be bought outside of Japan, so you got to plan this in advance. I bought mine with Changi Recommends but you can also buy yours from Klook or JTB. Read more about JR passes here. Small apartment in a secured building. I didn’t meet the host but everything was very smooth, including instructions to reach and enter the apartment. Our lights went off on the second day and the host came by to fix it while we were out the very next. It’s a little far from the JR station (about 10 minutes, 20 minutes with luggage) and it’s situated in a quiet street. Perfect location in DenDen town. There’s lots of good food around and very near to the mall. The apartment was big (by Japanese standards) and clean. You’ll get SGD50 credits off your first trip while I’ll get SGD25 credits when you’ve completed your trip. Premium location near Ikebukuro station. Lots of food and shopping choices in the vicinity. The hotel furnishing was modern and well-maintained though the room was a tad small. I stayed here on two occasions and both were great. This was one of the most urgent things I had in mind before my first trip. On my second trip, we didn’t even bother because it was that convenient. Once you touch down, head to the information counter and check with the staff. If that doesn’t put you at ease or if you are arriving slightly later in the day, then you can check out these options: Keisei Skyliner (fastest and most expensive), Narita Skyaccess, or their normal subway routes. Airport Limousine is an alternative too if the bus stops at your hotel/accommodation directly. For both my trips, we took the train from the airport and the airport limousine when returning. If you haven’t already heard, Japanese train lines are notoriously confusing. So how do you navigate around Japan? I’d say there’s no point in studying too much into the train schedules. Simply key in your destination on Hyperdia or Google Maps. Both gives the exact timings and cost of the trains but I prefer Hyperdia as it tells you the platform to go to. Especially helpful when you are in a big station like Tokyo station. For further places such as Lake Kawaguchiko, I suggest you plan ahead and stick to it. Trains to these destinations come less frequently, perhaps every half hour or hourly. I have missed trains by a couple of minutes and ended up arriving at the destination an hour later. It’s not worth it. You can get on most trains and even buses using Suica (similar to Singapore’s ez-link card) so get one there once you touch down. Or if you are using JR pass, you will be able to get on JR trains for free; just walk through the manual gates and flash your JR pass. You’ll probably still need a Suica though. You might have heard that food is always good in Japan but on my first time to Japan, I really didn’t want to risk it. You can use Tripadvisor, but I suggest Picrumb instead. The top restaurants listed on TripAdvisor have terribly long queues, and are sometimes overhyped and pricey. Picrumb, on the other hand, has very authentic recommendations. There’s hardly any tourists in the establishments we visited. Each recommendation comes with detailed pictorial direction (like what?!) and the estimated price range. Restaurants are also categorized by location and the type of food they serve which I feel it’s really helpful because you get to plan according to your cravings and itinerary. Usually what I’d do is look through the recommended restaurants for the upcoming area and place a dozen of pins on Google map for the restaurants we’re interested in. Whenever we felt hungry, we’d hunt down the nearest pin. I feel like there are always events going on in Japan and there’s always a festival (or festivals) every season. We chanced upon Earth Day fair in Yoyogi park during my second trip there and it was great! You really get to immerse in their culture and celebrate among the locals. There was also the Fuji Shibazakura festival and Wisteria Festival but we skipped it because the flowers were not in full bloom yet. So leave one or two free days in your itinerary to fit in these surprises. Alternatively, check out this event calendar. I read that Japan was still a rather ‘cash’ country before my first trip, but I experienced otherwise. Most of the places accepted credit card and the rates are usually as good or better than what I exchanged. I will say to bring adequate cash for the small bites along the way but don’t get too worried about running out of cash, as it is still easy to look for establishments which allow credit cards. I swiped my cards for larger purchases, such as a shopping spree at drugstores or Uniqlo and cash for everything else. If it is your first time to Japan, you might not be familiar with this but tourists get tax rebates! Most of the bigger merchants such as Uniqlo, Matsumoto Kiyoshi (a popular drugstore chain) offer this to tourists. There are two ways that this could work: one, you hit a certain amount for your purchase, usually 5000 yen, and they will automatically charge you the price less tax at their tax free counters. The other, is where you have to go to a counter to apply for tax-free shopping first. Cosmetics and other products, such as souvenirs have to accumulate a certain amount (usually 5000 yen) separately. Once you are done with your shopping, you can head back to the tax free counter and they will do the refund in cash. Most of these counters have shorter opening hours so do check it with the counter staff before you go berserk shopping. And don’t get too shocked when the staff start stapling receipts to your pristine passport! Side note: I’ve activated google ads on my blog to help offset the maintenance and hosting costs which is about a hundred odd annually. I apologize in advance if they hamper your reading experience and if you come across any pesky ads/ad placements, please feel free to take a screenshot and drop me an email at hello@eunicetan.co.